Medicare Lawyer Dr. Nick Oberheiden - Oberheiden, P.C. 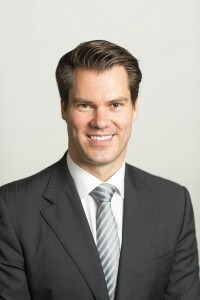 Dr. Nick Oberheiden, founder and managing principal, has successfully represented clients in Qui Tam, False Claims Act, Medicare & Medicaid Fraud, Tricare Fraud, Stark Law, Anti-Kickback, Grand Jury proceedings before the Office of Inspector General (OIG), the Department of Health and Human Services (HHS), the Department of Defense (DOD), the Department of Justice (DOJ), and the Department of Labor (DOL). A great number of these representations resulted in desired outcomes, often in no civil or criminal liabilities for the client. Most clients approach Dr. Oberheiden in times of crisis, and he understands how important it is for his clients and their families to find relief and to get the matter resolved. It is this responsibility for others and the trust put in him that drives his passion to help, impress, and succeed. His broad experience and his proven strategies have made Dr. Oberheiden a great choice when it comes to sophisticated and effective representation. Among his list of clients are health care executives, business owners, physicians, as well as businesses in the area of toxicology, pharmacy, home health and hospice centers, DME, hospitals, surgery centers, neuro-monitoring, blood and DNA testing centers. Dr. Oberheiden is trained in negotiations by Harvard Law School and holds a Juris Doctor from UCLA School of Law, a Juris Doctor equivalent from the Supreme Court of Hamburg, Germany, as well as a Ph.D. in law.